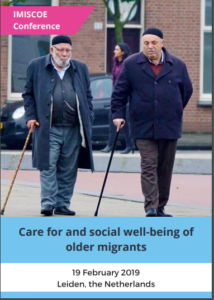 Next year on the 19th of February five of our ENIEC members will contribute to a conference in Leiden, The Netherlands, which is organised by Imiscoe, a European network of scholars of migration and integration with a focus on comparative research. The conference is open to everyone, will be held in English and is free of charge. We hope many of you will join in this extra opportunity to meet, learn and share our ideas. Information about registration is in the program.